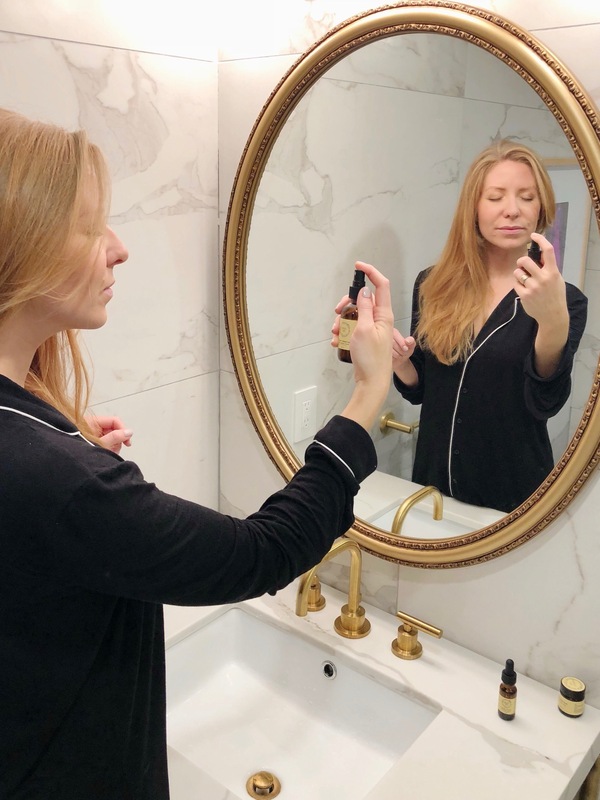 I’m really excited about this week’s blog post because it’s for everyone out there who is looking to minimize their skincare routine and focus on high quality natural products that will perform, no matter your skin type. 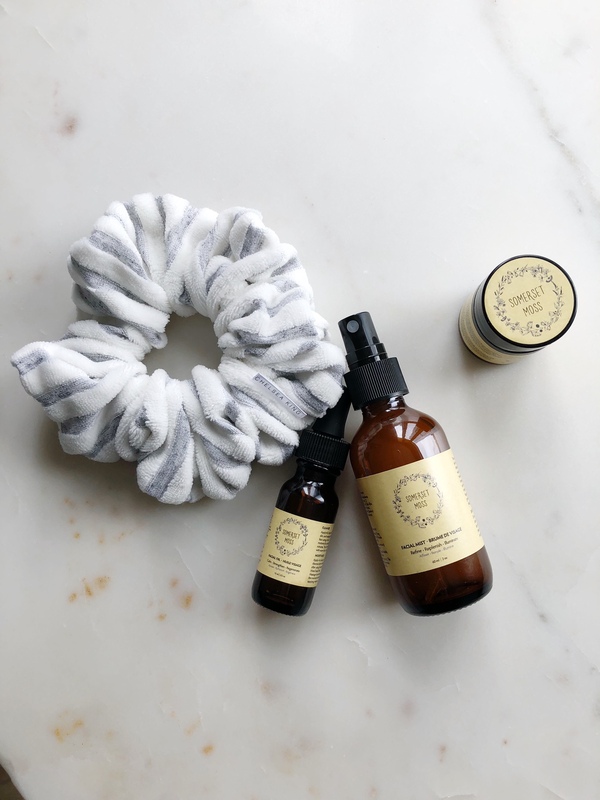 Introducing my natural skincare regimen with Somerset Moss. 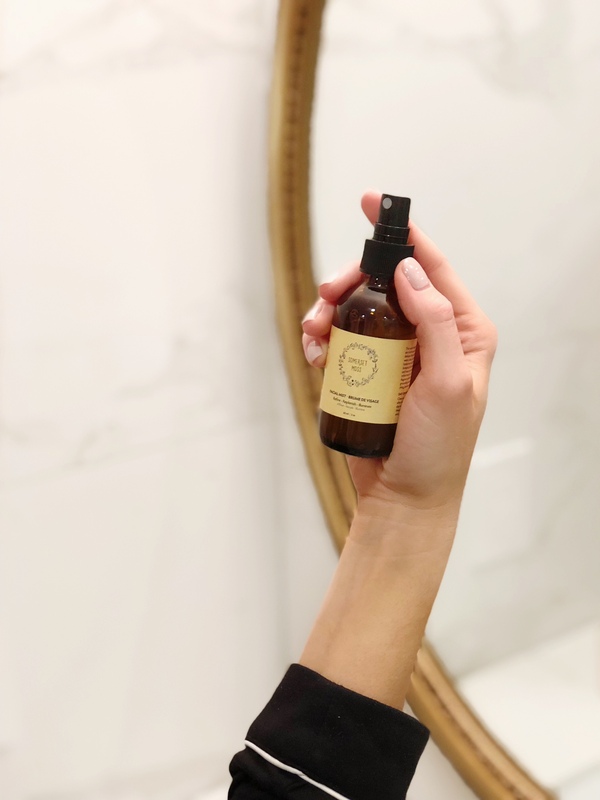 Somerset Moss is a local company out of Vancouver, designed and created by Holistic Expert Sam Miles. 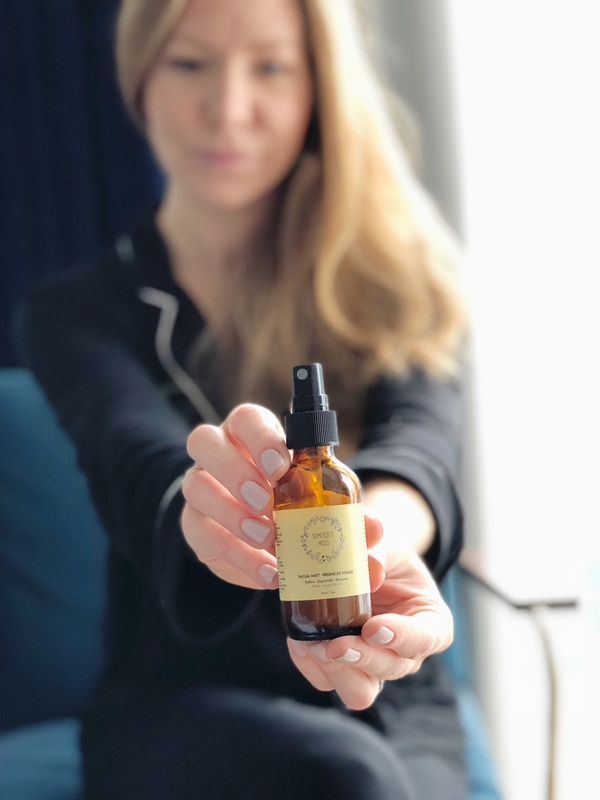 Her skincare line is made up of three products: facial mist, facial oil, and the balm. Some may even call this a capsule skincare collection which is what initially drew me in. These three multi-functional products come from botanically-sourced ingredients. 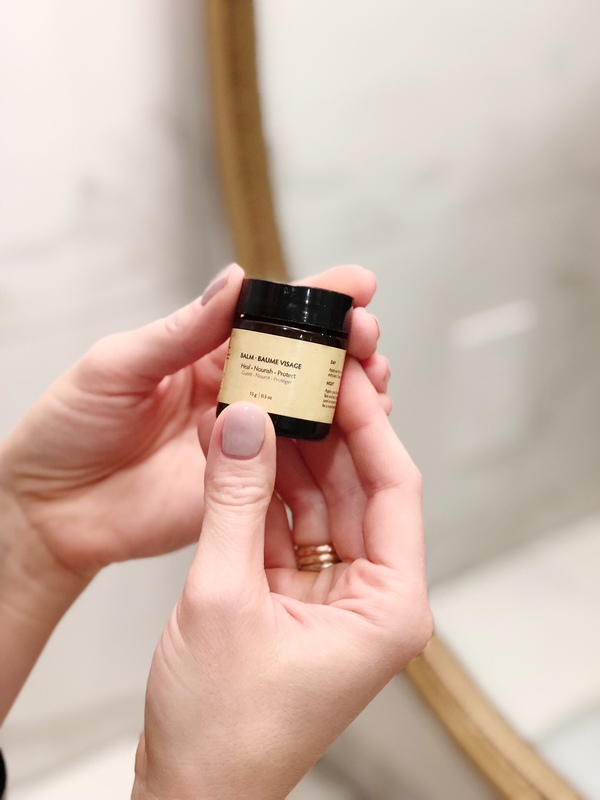 They take the highest grade of bio-plant actives and combine it with essential oils while avoiding all chemicals, toxins, fillers and dilution. And for those that like to shop local and support the community, this product line is made in small batches in Vancouver. Recently I cleaned out my bathroom drawers and cabinets and discarded products that just sit there and collect dust since these three simple items are the only thing I’ve been using the last five months. So today I’ll walk you through each one and share with you how I use it daily. 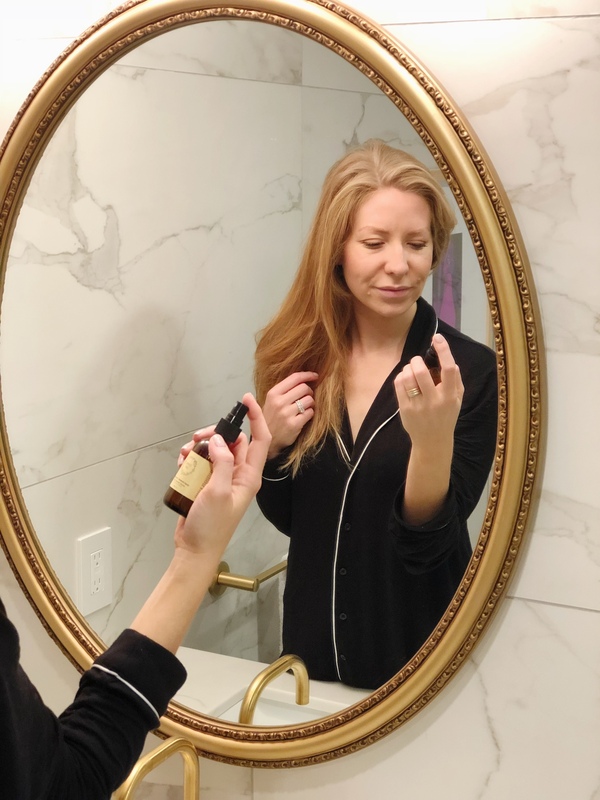 I will also mention it’s an adaptive skincare collection that can either be worn alone, layered, or blended depending on what your skin needs which is great because that means it works for anyone! Let’s start with the facial mist. Truthfully, when I first received my package, I thought who has time to mist their face two times a day? Little did I know this would become my favourite product in the whole collection. I’m addicted. After I wash my face I spray twice before applying the face oil in the morning and before bed. The facial mist is very calming and soothing and leaves your skin feeling so hydrated. I don’t use products with any fragrance anymore but what’s nice about this is the naturally fragrant essential oils that are blended in. It smells flowery but it’s not over powering at all. My favourite essential oils in this mix is the lavender, ylang ylang, cedarwood and jasmine. Next up is the facial oil. I was always hesitant to put oil on my face because I have oily skin. But truth be told, I also suffer from really dry skin especially when I’m in Calgary. Under Sam’s great guidance and advice I now use Somerset Moss’s facial oil strictly for moisturizing and it blows my mind every time. It offers a sweet and flowery scent which makes my face smell so good. 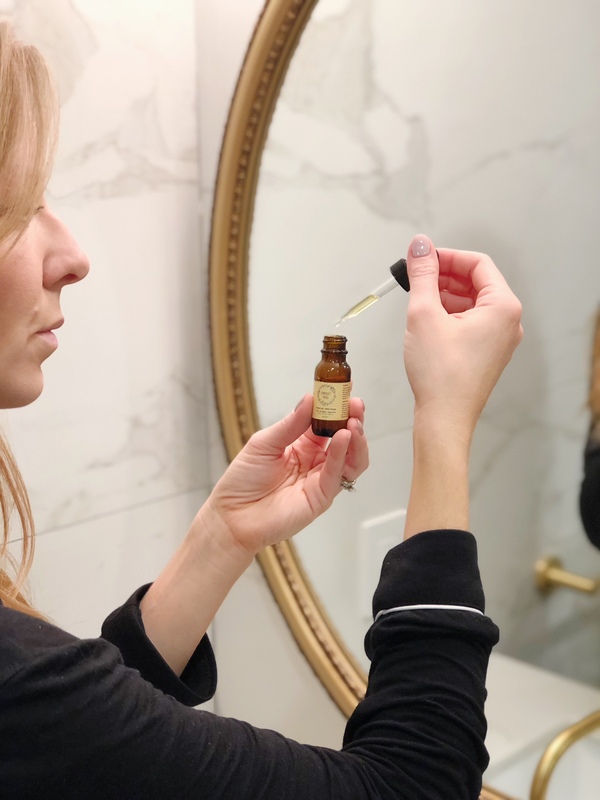 After cleansing my face and then misting, I apply 4 drops of the facial oil directly to my face and neck. Once I gently rub it in and it absorbs, I then apply my makeup over top. 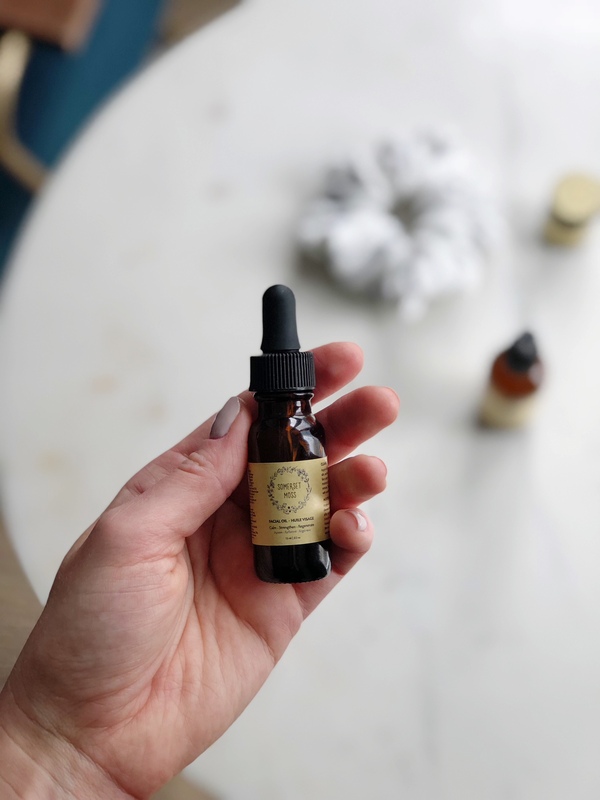 Another way you can use the facial oil is for cleansing your face which is a great example of how this capsule collection is multi-functional. This is a nice option for traveling if you want to reduce what you pack. What you do is apply 4-5 drops to your dry skin and massage it into your face for a couple minutes. Then grab a warm face cloth to finish cleansing your face. I’ve also used a few drops on the back of my hands to keep them moisturized and to prevent aging. The balm is the third product in the capsule collection that I love for taking on the go! I actually use it for my lips and my cuticles and it works wonders. (Oh…I’ve also used it in an emergency as diaper cream which is awesome!!) It’s a thicker balm-like consistency so it works well to soothe really dry areas of the skin. The balm consists of shea butter, almond oil, avocado oil, camellia oil, and coconut oil which helps protect, strengthen, and nourish the skin. It feels so soft, smooth, and buttery on your skin. If you have a dry patch of skin like dry heels, it works well for that too. For those thinking about aging, these products are also good for anti-aging which has been on my mind for the last few years as I try and take the right steps to prevent it. Ingredients such as meadowfoam, sea buckthorn, and camellia oil are all key anti-aging ingredients that Sam included in the line. The balm is also good for applying a thin layer overnight which contains many anti-aging ingredients like frankincense. The key is to keep your skin hydrated and strong and resistant to aging. 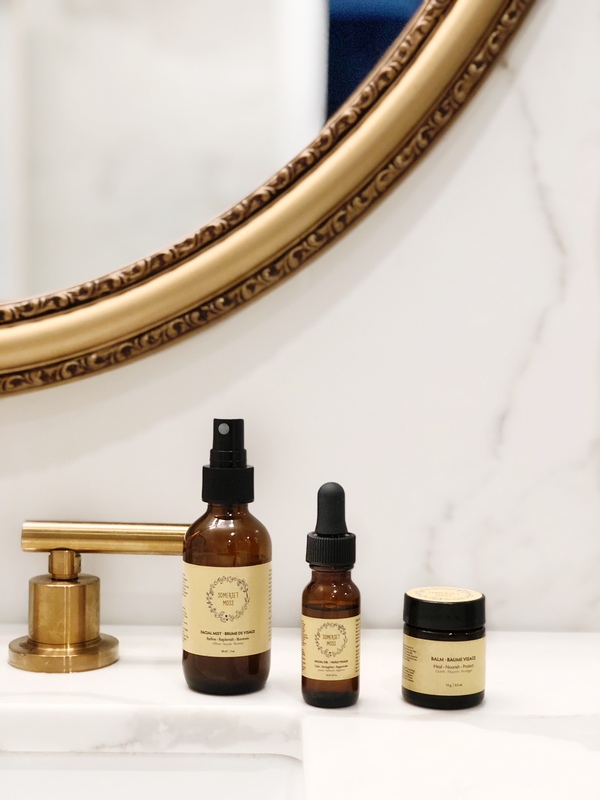 I’ve been trying to live by the mantra ‘less is more’ and what I love is that this skincare line is very minimal. I don’t need to complete endless steps and pull out tubes and containers of random products that only serve one purpose. All I do is interchange these three products to get the job done – cleanse, moisturize, anti-aging. So there you have it, the complete lineup of the Somerset Moss capsule collection that I’ve been using regularly and wanted to share with you all! If you’re looking to purchase the capsule collection use promo code SG18 for 20% off your order at checkout!!! Promotion ends Tuesday, October 2nd. Previous August: What’s in my cart? Next September: What’s in my cart?